What will happen if Britain leaves the EU – and how will it affect you? Europe: vital for Britain’s economy and global standing or a bureaucratic monster hell-bent on destroying our national sovereignty? And why is no one talking about what leaving Europe would actually mean? 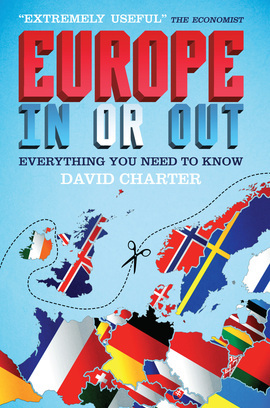 Addressing the real issues surrounding a potential exit from the EU – including jobs, travel, immigration, investment, sovereignty and justice – this fully updated and revised edition of David Charter’s essential guide investigates the consequences both for the country and for the person on the street. A clear, comprehensive and compelling account of the impact of the EU and the implications of Brexit, this definitive, unbiased handbook, from an expert in the field, is essential reading for anyone with an interest in Britain’s future.